Bajaj introduced a new Yellow colour option on the Pulsar NS 200 as it was earlier offered only in three colour options – Graphite Black, Mirage White and Red. Initially, the NS 200 was offered with the yellow colour option then the company discontinued it. The Yellow colour option is priced at Rs. 1.12 lakh (Ex-Showroom), which is similar to other colour options. All bikes above 125 cc must come with ABS option, which is why the company introduced ABS variant in November and until April 2019 the non-ABS version will be on sale. To keep cost down, Bajaj is offering single-channel ABS system and Rear Lift Protection (RLP) sensor for the NS 200. The Pulsar NS 200 is powered by 199.5 cc single cylinder engine with 23.2 bhp of power at 9,500 rpm and 18.3 Nm of torque at 8,000 rpm. This engine is mated to a 6-speed gearbox and the top speed of NS 200 is around 140 kph. The NS 200 is expected to return around 40 kmpl and the fuel tank capacity is 12 litres. The braking power comes from 280 mm disc brake at the front and 230 mm disc at the rear. The NS 200 comes with telescopic suspension at the front and monoshock at the rear, which is tuned for sporty handling and it gets perimeter frame. The performance bike rides on 17-inch wheels with 130/70 section tyre at the rear and 100/80 section tyre at the front. 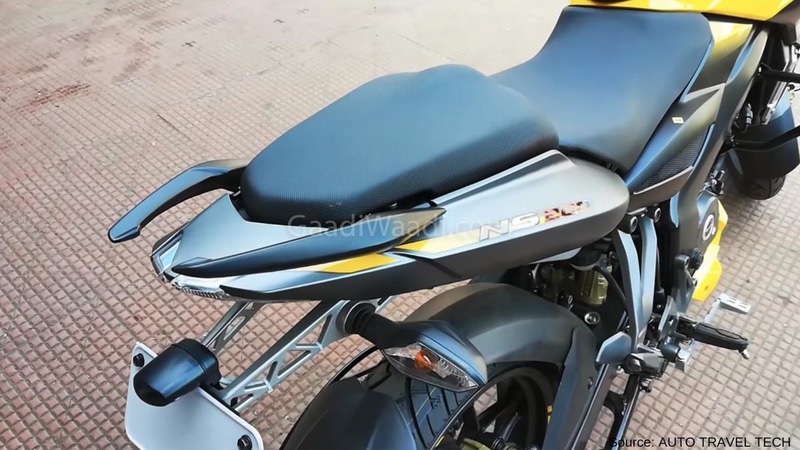 Except for the addition of ABS system, Bajaj hasn’t made any other changes and it comes with clip-on handlebar while the instrument cluster is old school like as the tachometer is analogue and all other details are displayed on the digital screen. 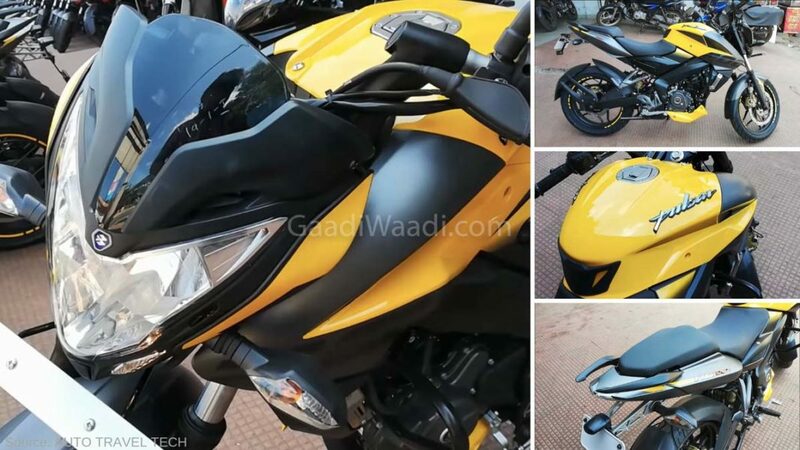 The company has already dispatched the initial batch of yellow NS 200 to the dealerships across the country. We can expect an official announcement soon and they are gearing to launch the updated Dominar 400 as well, which comes with lots of mechanical changes. Bajaj Pulsar NS 200 competes against TVS Apache RTR 200 4V and Yamaha FZ25.